draft-ietf-l2vpn-pbb-evpn-03 – PBB-EVPN – The IETF continues the recent trend of developing stupid ideas into standards. Why are they wasting time in this stuff ? [E-VPN] introduces a solution for multipoint L2VPN services, with advanced multi-homing capabilities, using BGP for distributing customer/client MAC address reach-ability information over the core MPLS/IP network. [802.1ah] defines an architecture for Ethernet Provider Backbone Bridging (PBB), where MAC tunneling is employed to improve service instance and MAC address scalability in Ethernet as well as VPLS networks [PBB-VPLS]. In this document, we discuss how PBB can be combined with E-VPN in order to: reduce the number of BGP MAC advertisement routes by aggregating Customer/Client MAC (C-MAC) addresses via Provider Backbone MAC address (B-MAC), provide client MAC address mobility using C-MAC aggregation and B-MAC sub-netting, confine the scope of C-MAC learning to only active flows, offer per site policies and avoid C-MAC address flushing on topology changes. The combined solution is referred to as PBB-EVPN. 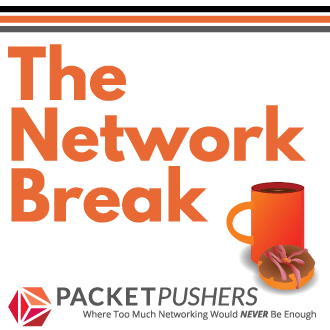 SDN: Your Questions Answered in Under Five Minutes – J-Net Community – Michael Bushong from Juniper does a very good job of answering typical questions on SDN from real customers. 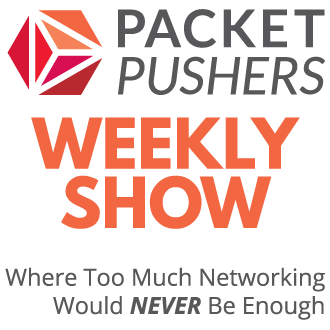 Things like “Will commodisation change the industry” and “Will SDN change the carrers of network engineers”. % minutes on Youtube is worth putting one ear to it while you work. Since the release of Mac OS 10.7 Lion, I’ve found that OS X sets the default location for file dialogs somewhat randomly in some applications. Choose File->Open and you’re taken to your Documents folder, or your Home folder, or the folder you used last, or a folder on your neighbor’s file server – it always feels like a bit of a crap shoot. So now Default Folder X does it for you – intelligently. It keeps track of where you’ve been and puts you back there the next time you Open or Save, and it does so reliably. Oh, and that business in Mountain Lion where it forces you to iCloud every @!$# time you want to save a file? No. If you saved to iCloud last time, that’s where it’ll direct you. But if you saved to a folder somewhere on your hard drive, that’s what you’ll see the next time you choose File->Save. That makes sense. Yay A big thanks to Ted Laundau for bringing this into focus and helping define what the correct behavior should be. Usability is all Wrong – Almost all of our tape usage today is through proprietary formats. For a non-portable medium like disk, proprietary formats don’t matter. The common interface of NFS, Fibre Channel, CIFS or some other format makes the data accessible. However tape is inherently a portable media format and so the layout of data on tape itself should be self describing and independent.
. He makes the point that Microsoft is might have the best desktop, but no one wants the laptops or desktops. And Microsoft is making so much profit from Windows that it can’t change. Like Kodak, it can’t transition from 60% profit margins that the current monopoly allows. Scripting | Michael McNamara – Michael McNamara has an interesting colleciton of his won perl/expect scripts here. I’ve coded in Perl for the better part of the past 10 years. Unfortunately very little time is ever spent cleaning up the code to make it more efficient, more modular, easier to read and/or follow (especially helpful while trying to debug). I’ve generally used Perl to pull data via SNMP and build reports. I have also used Perl to build web based applications using SNMP to configure different network switch settings (link speed, duplex, VLAN configuration, etc).